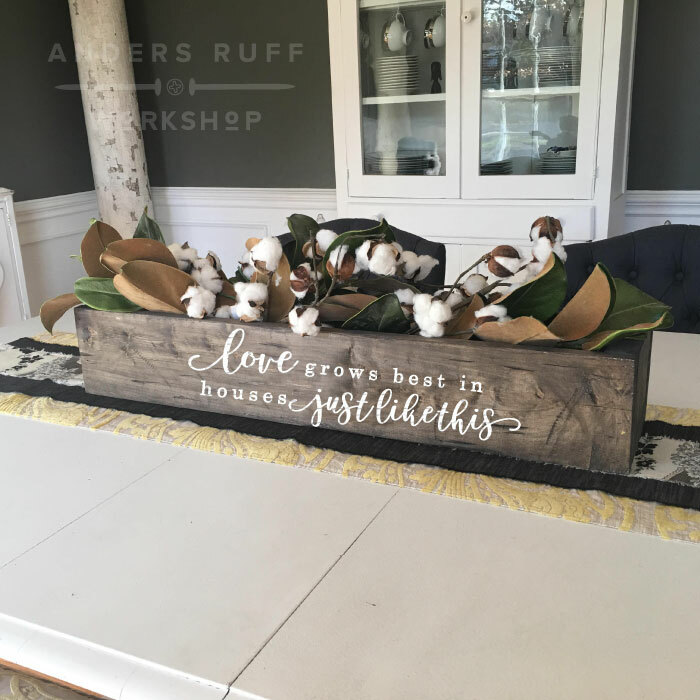 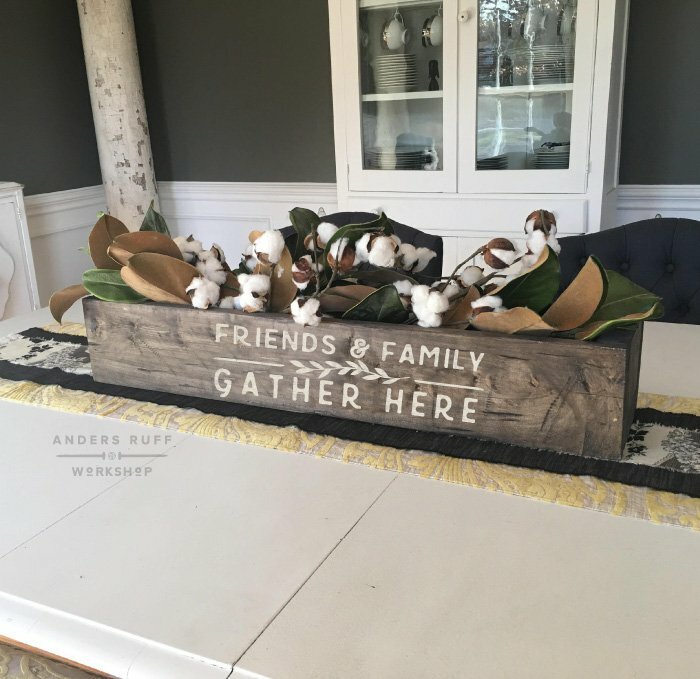 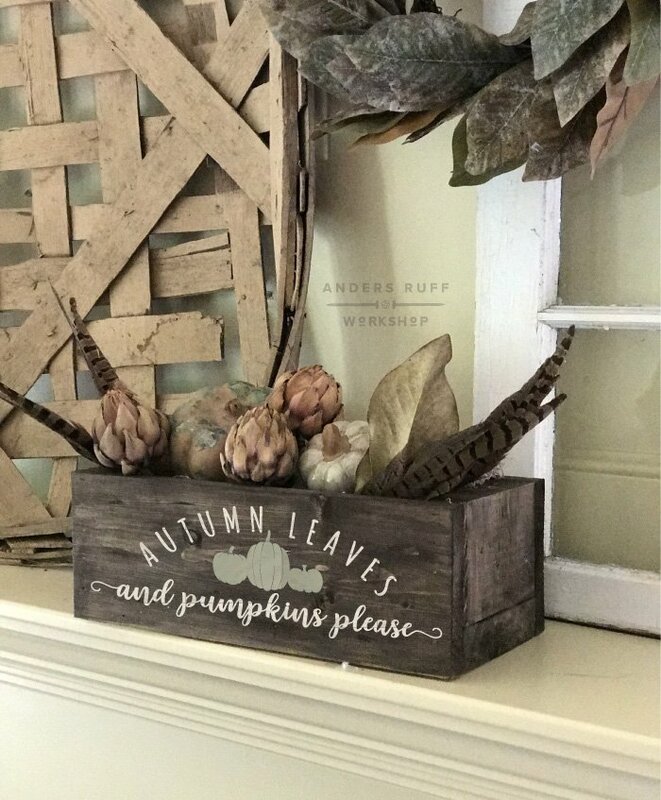 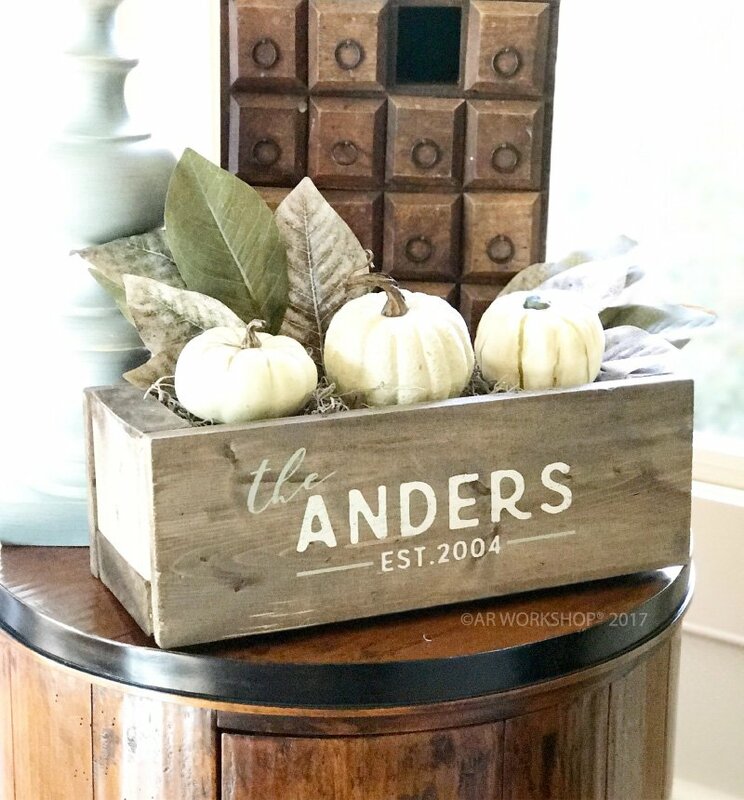 Our unique wood centerpiece boxes are sized 32″ long. 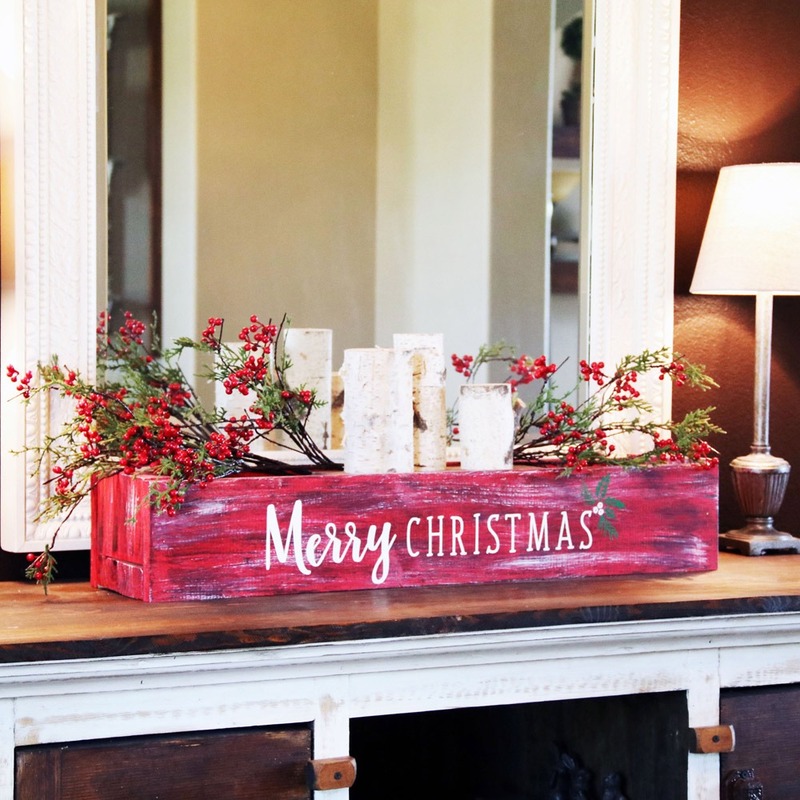 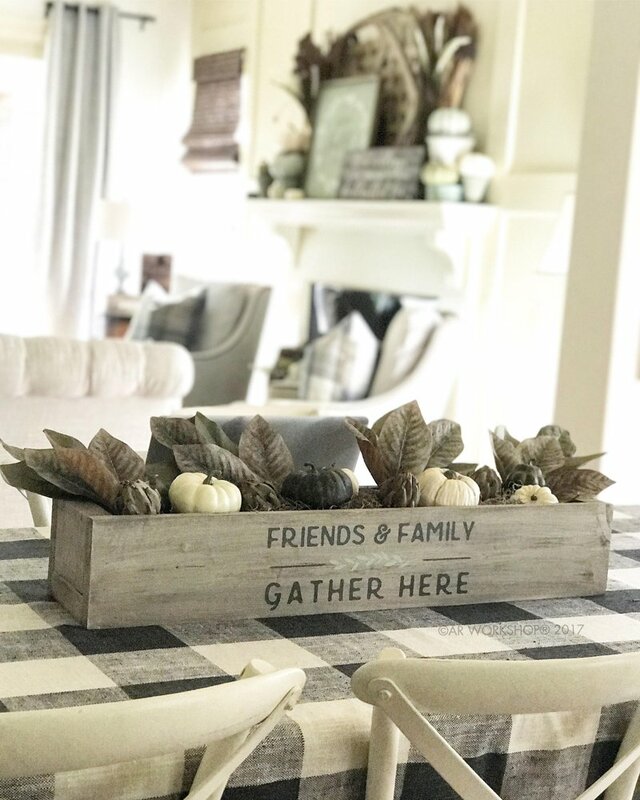 They are perfect to display on your table and change out the décor depending on the season. 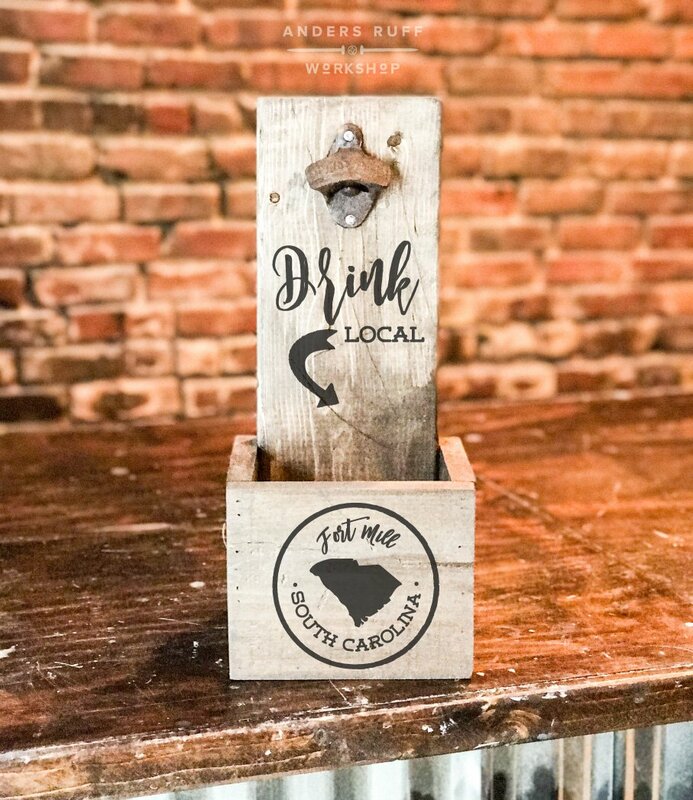 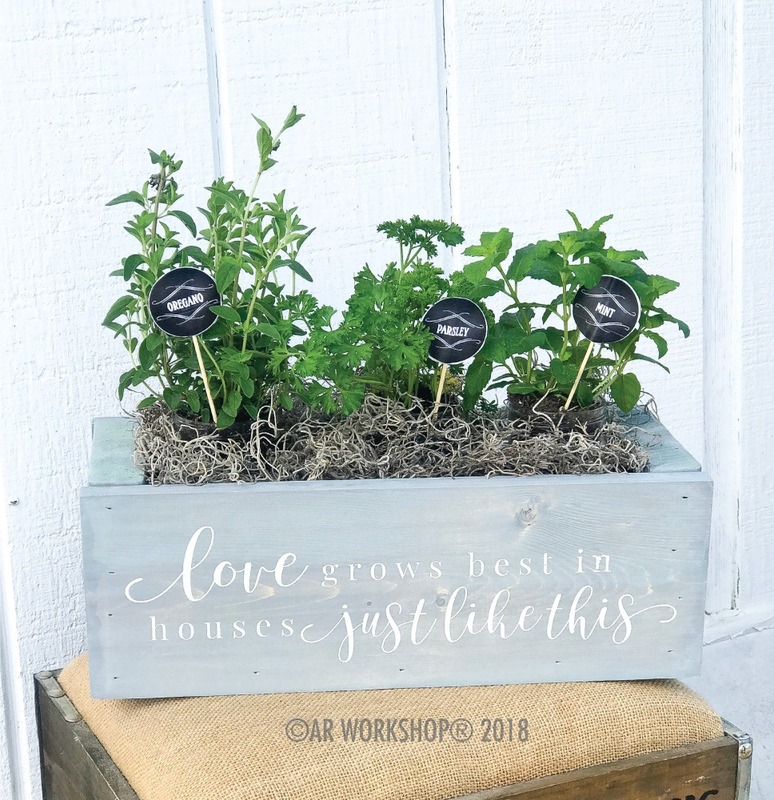 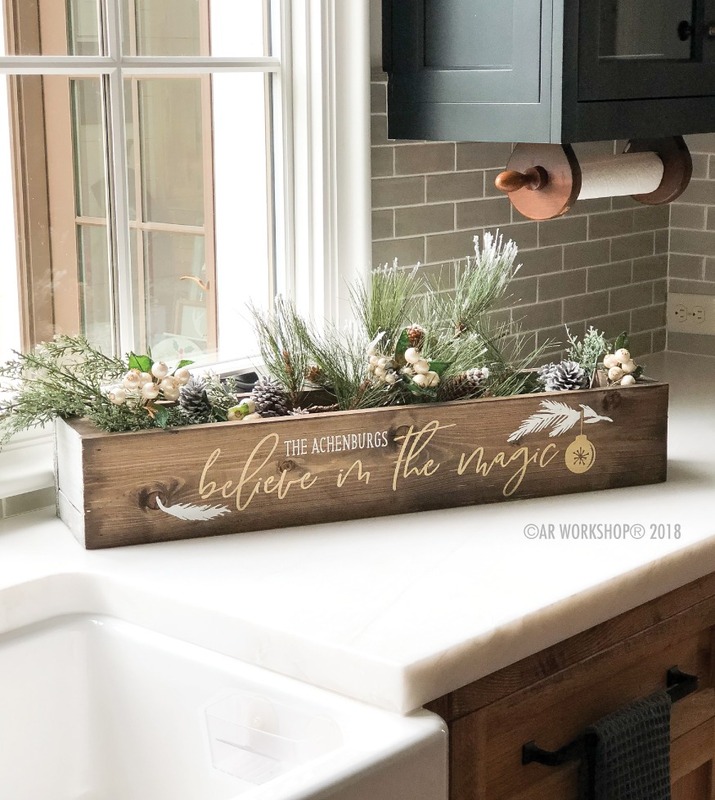 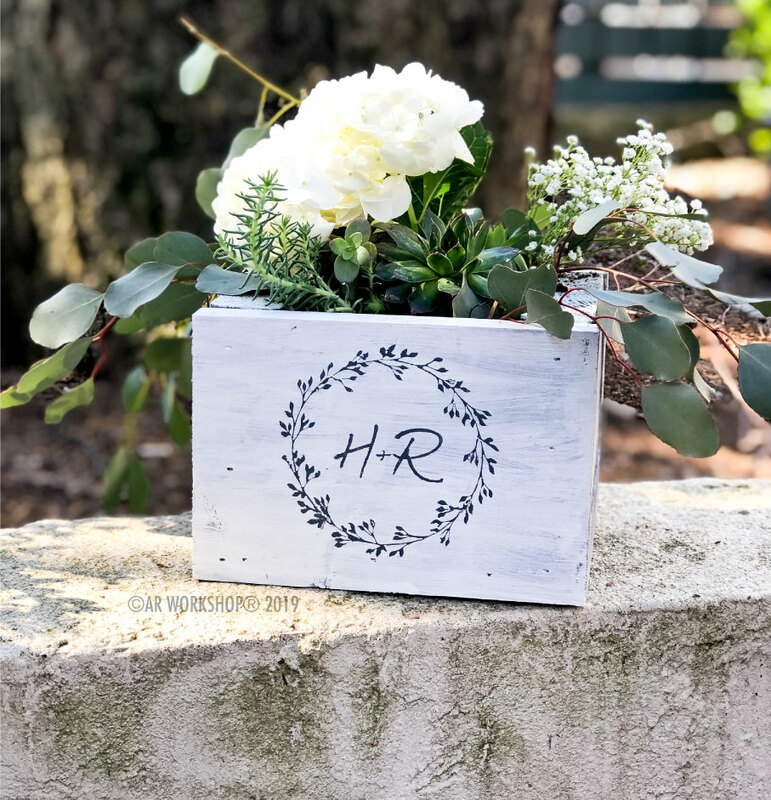 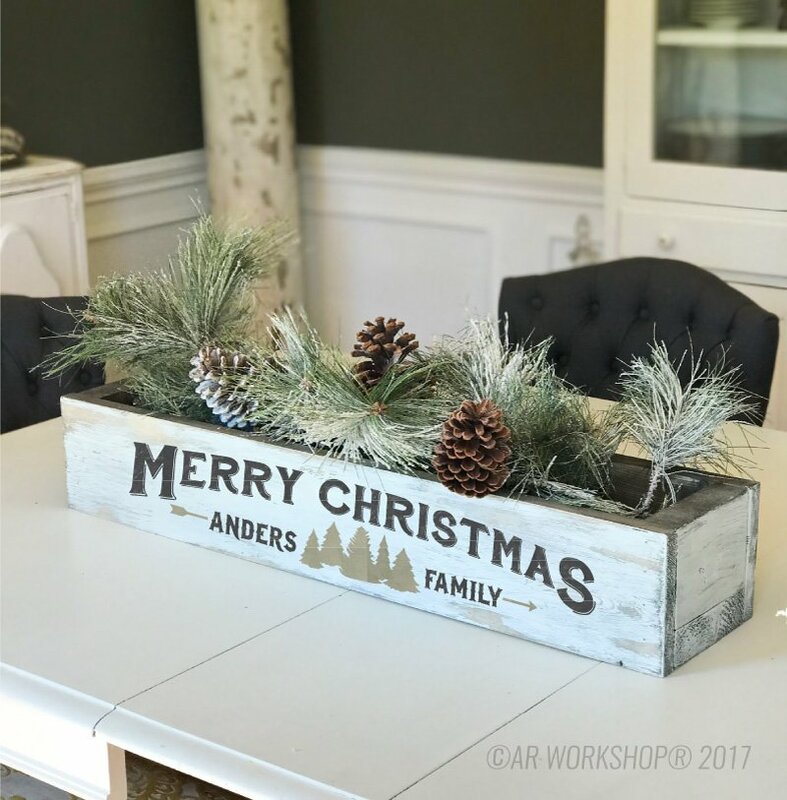 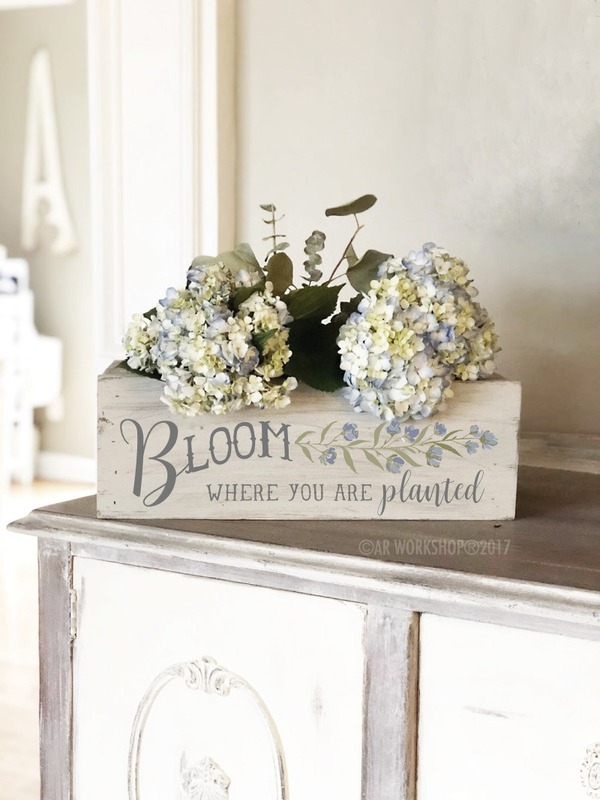 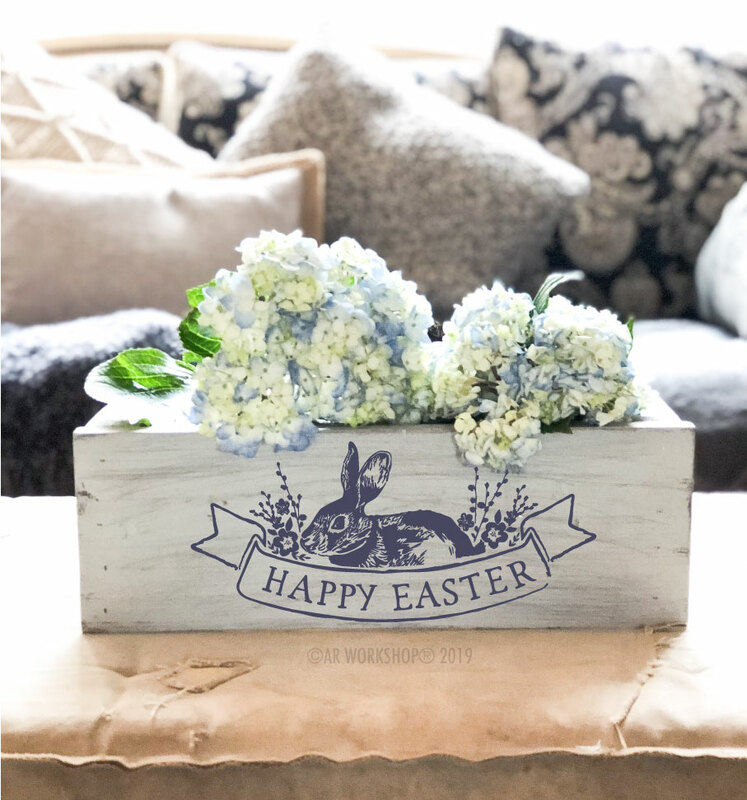 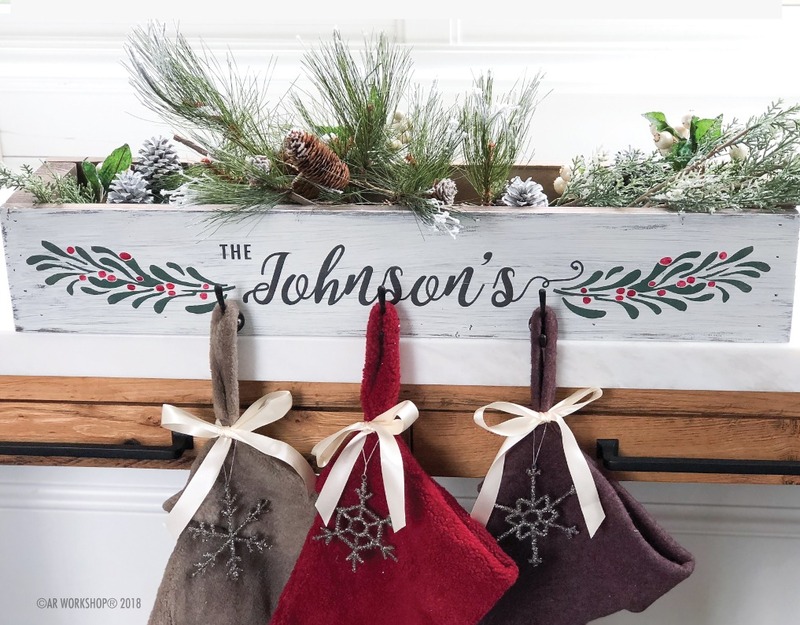 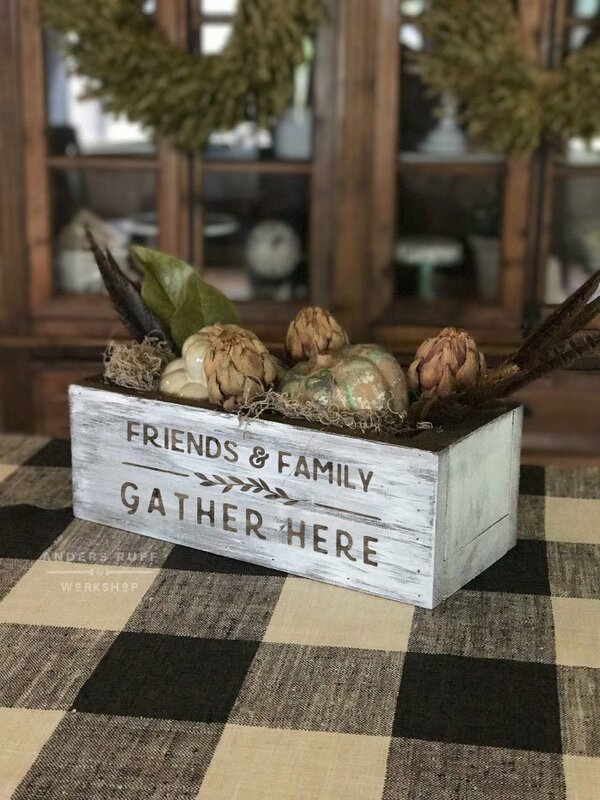 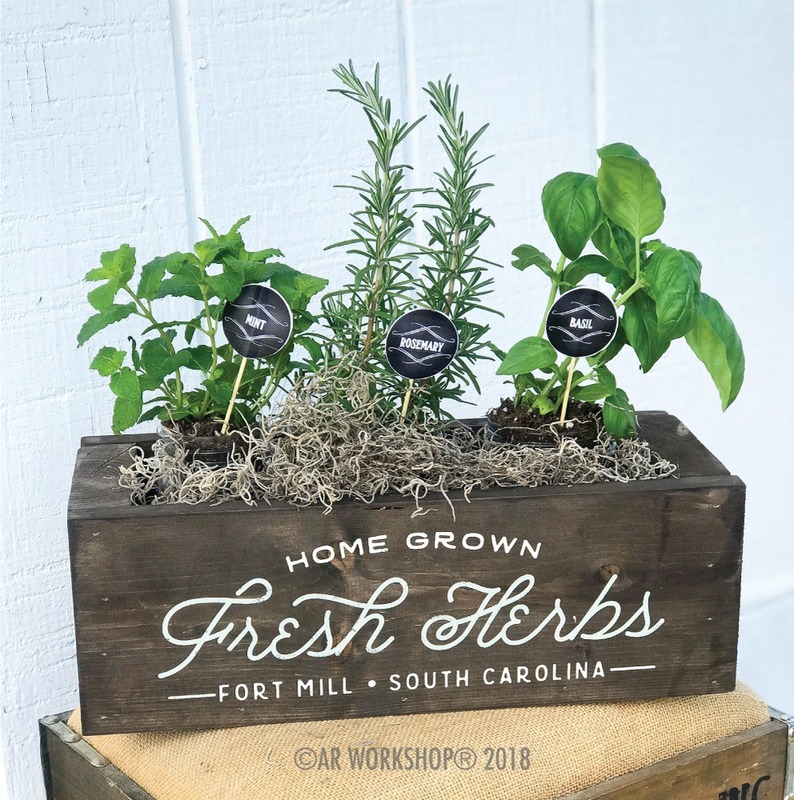 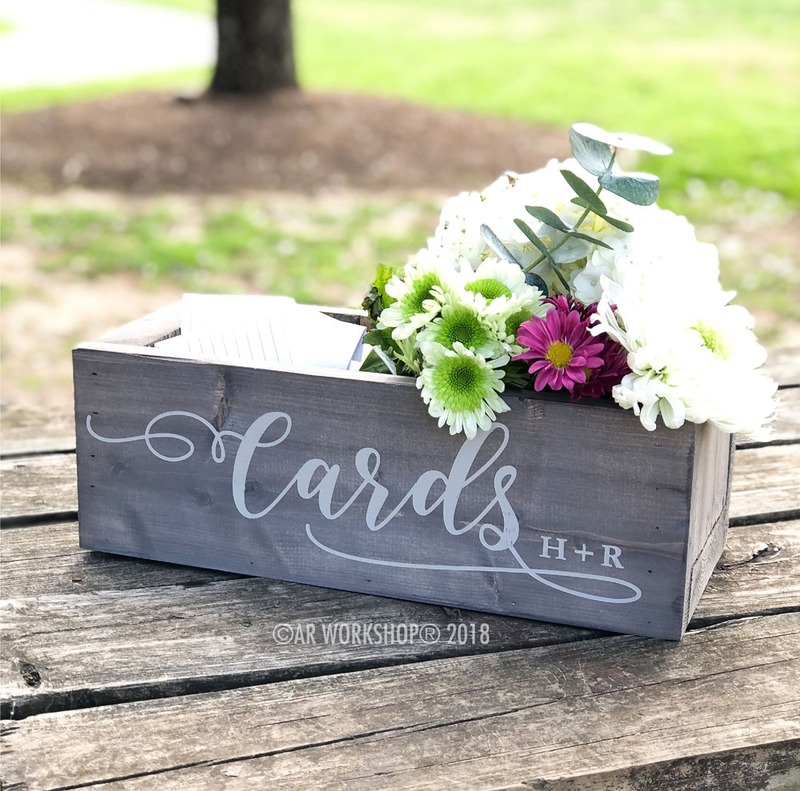 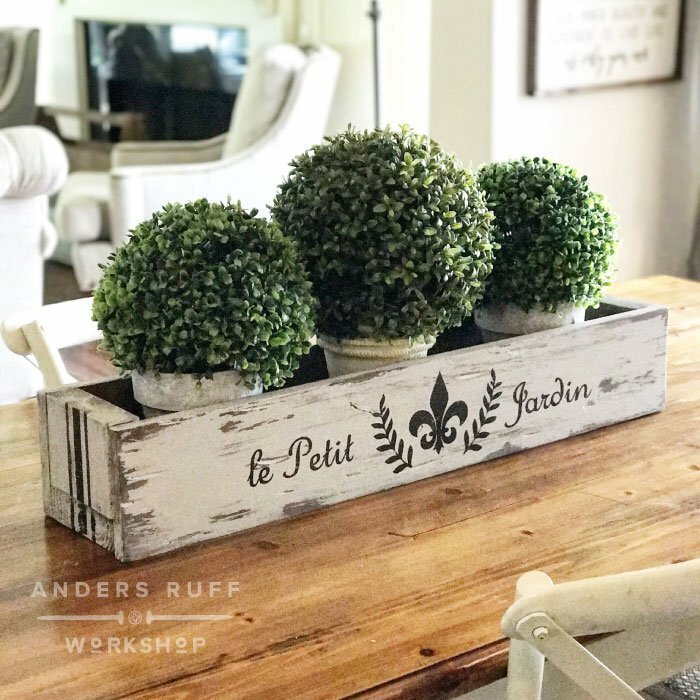 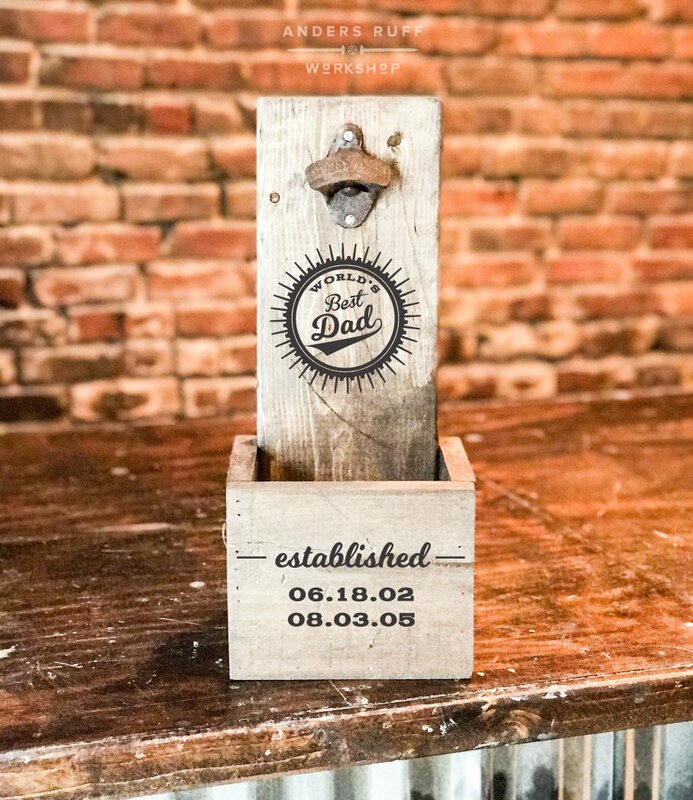 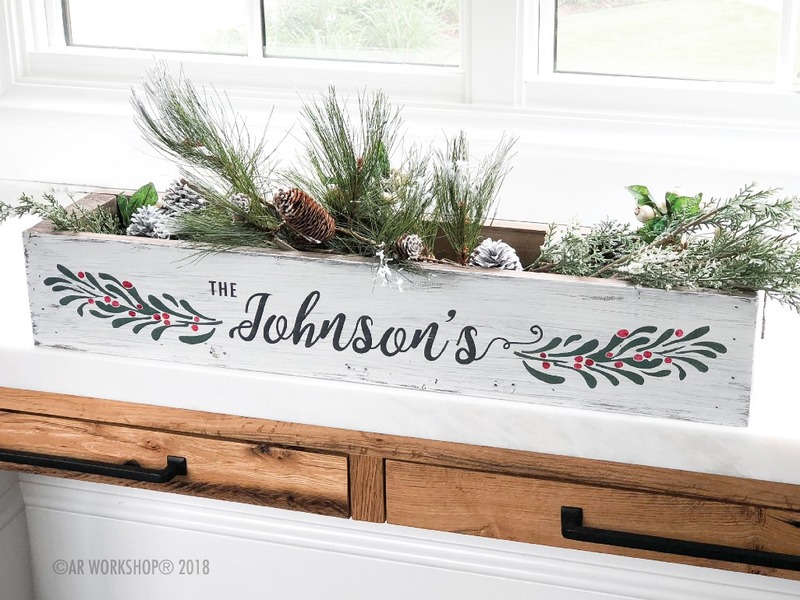 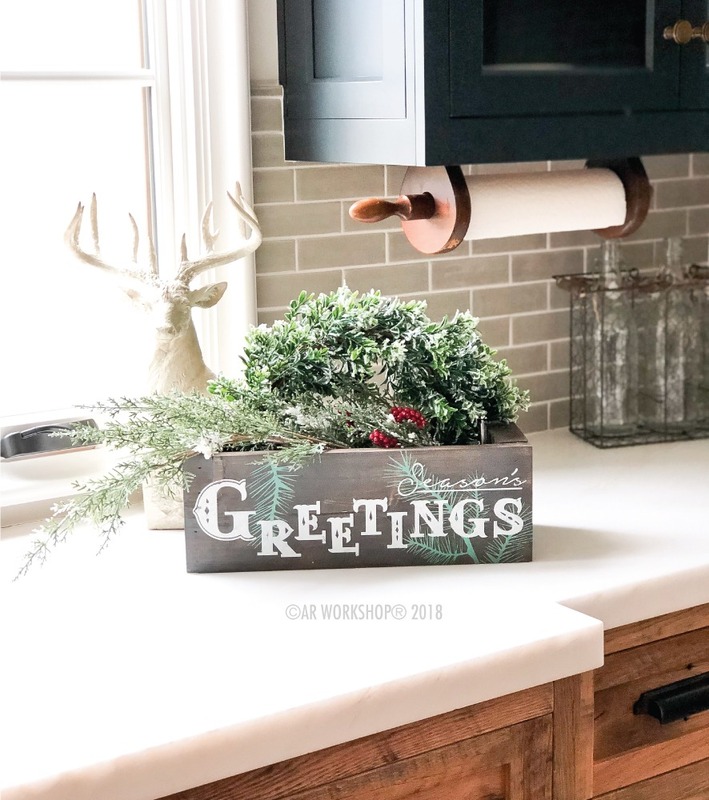 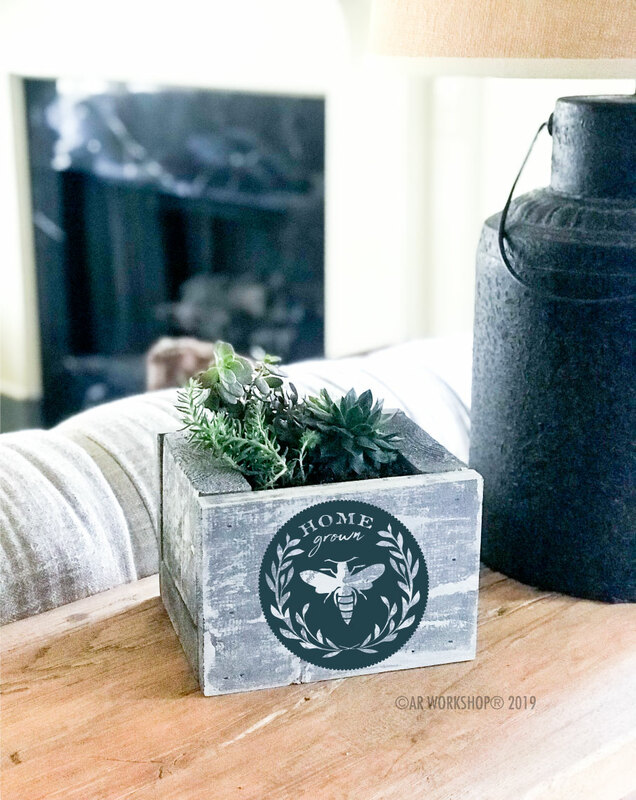 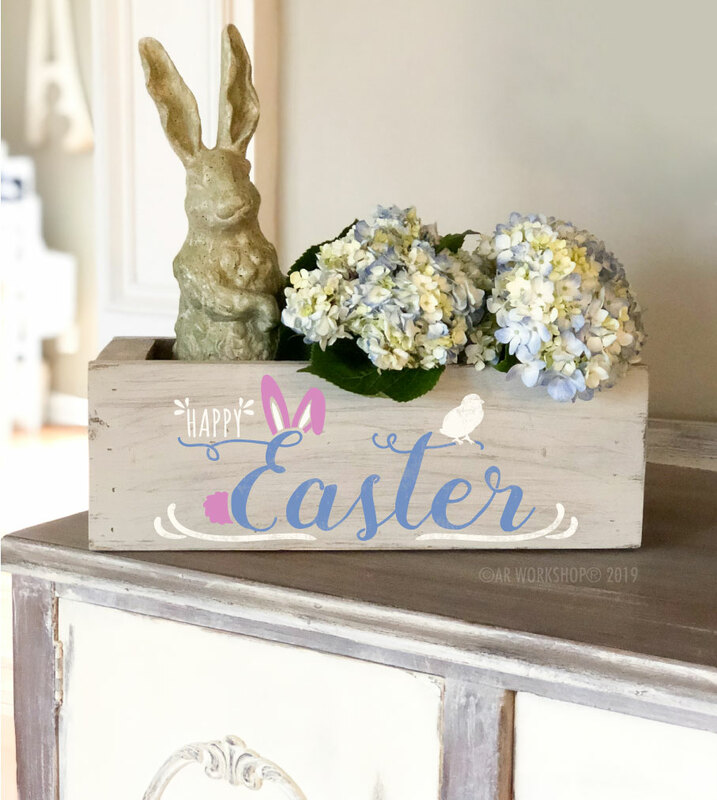 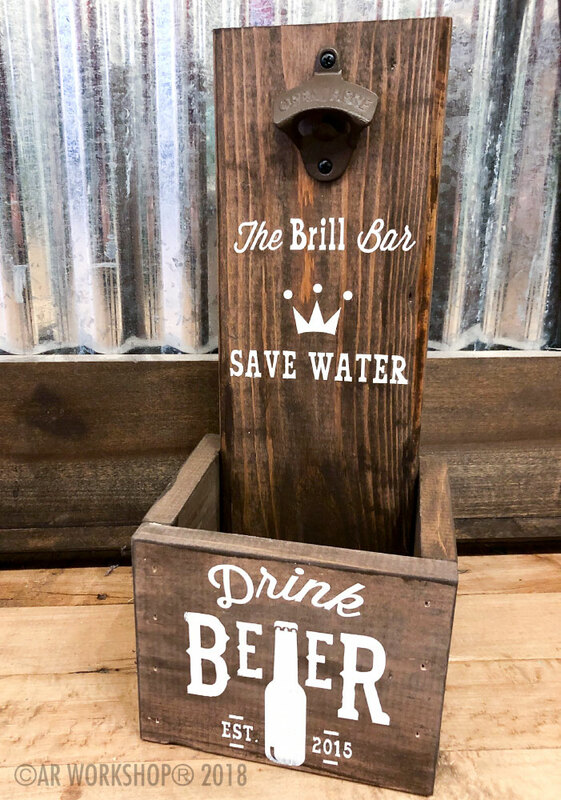 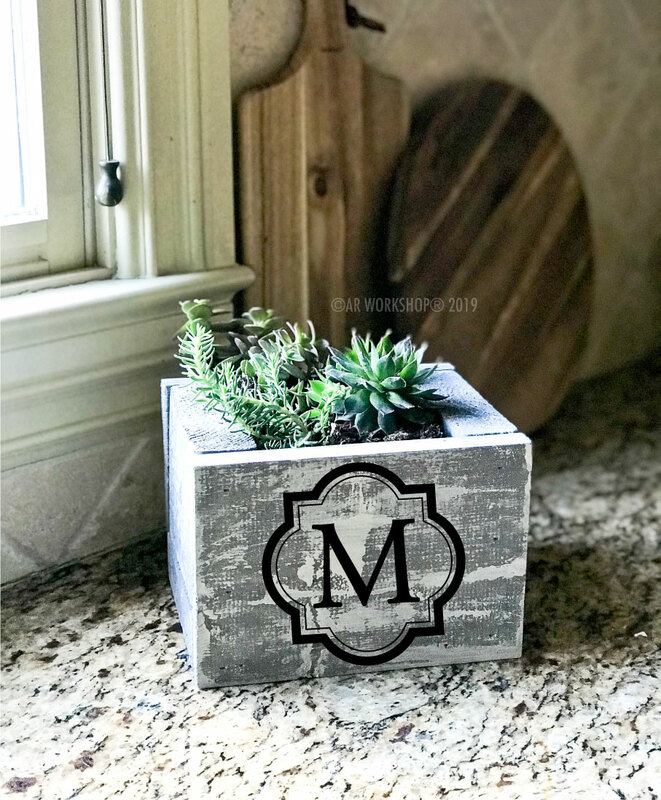 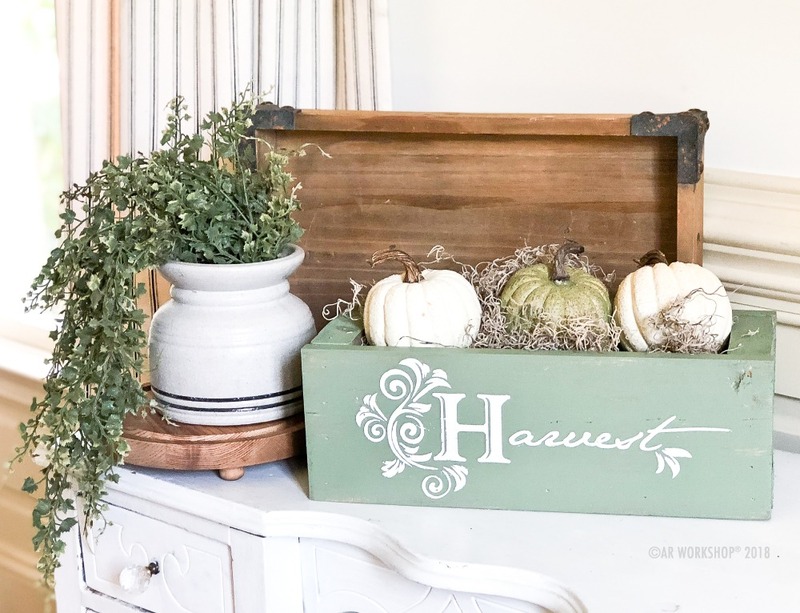 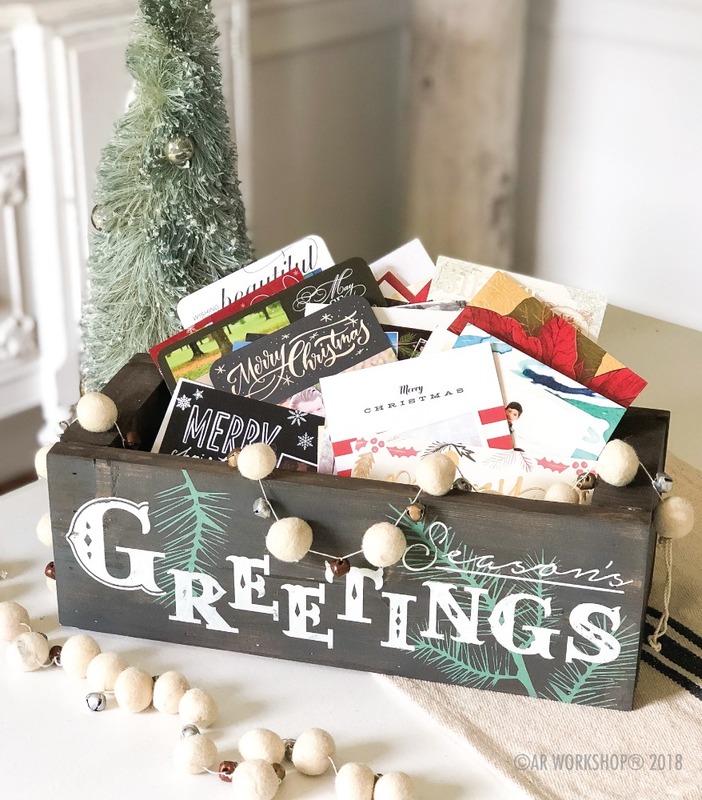 Made from solid wood, you can customize every aspect of the box from the background color to the wording color by choosing from our designer line of paints and non-toxic wood stains (no odor or toxic fumes!). 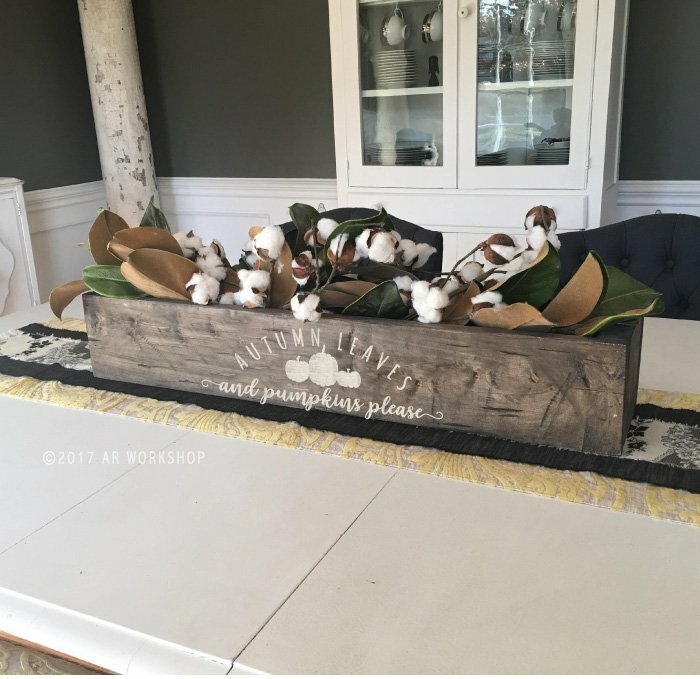 Our half-sized wood centerpiece boxes are sized 16″ long. 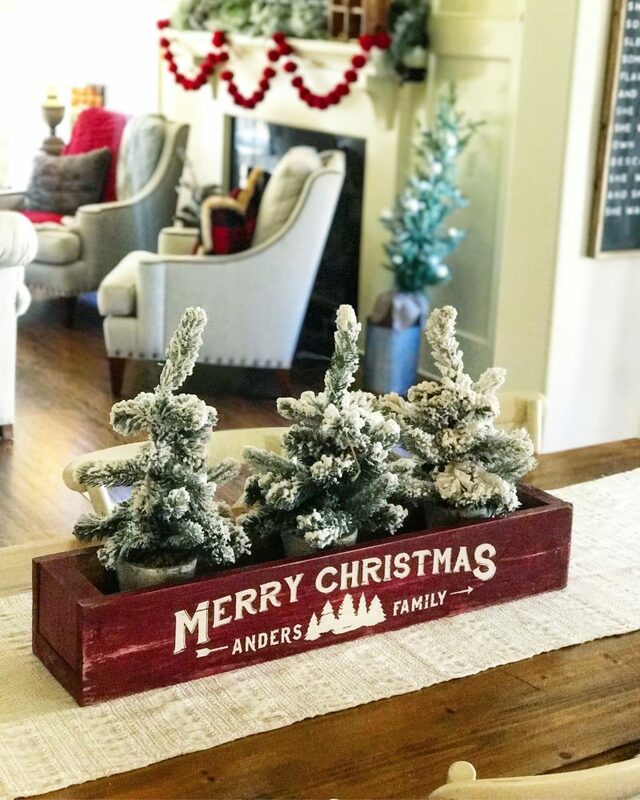 They are perfect to display on your table and change out the décor depending on the season. 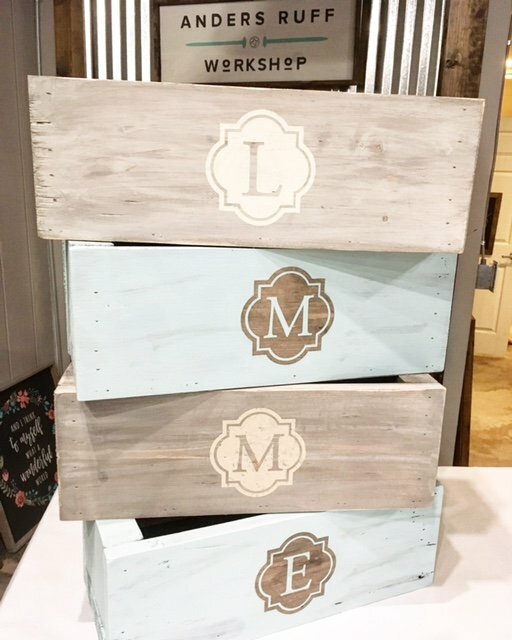 Made from solid wood, you can customize every aspect of the box from the background color to the wording color by choosing from our designer line of paints and non-toxic wood stains (no odor or toxic fumes!). 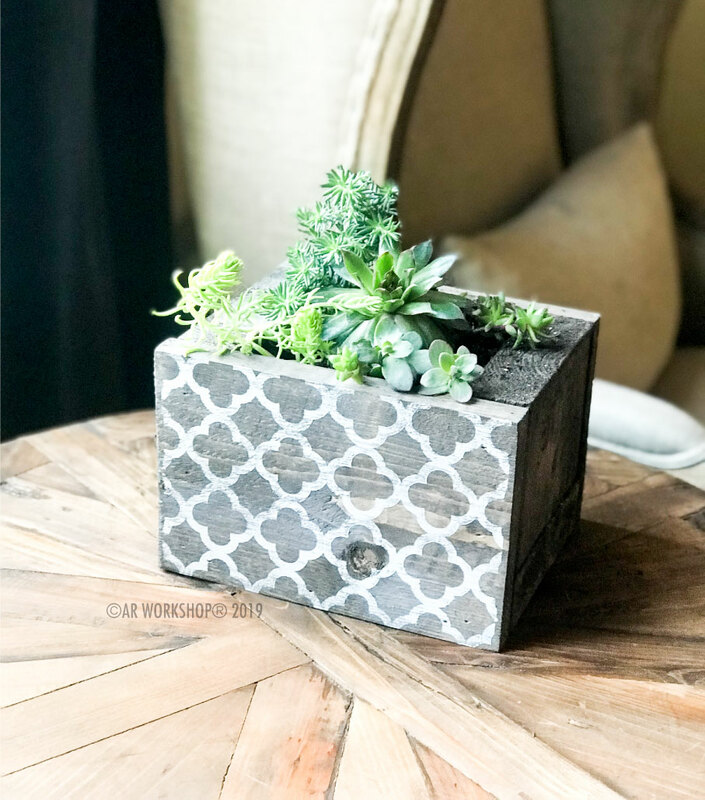 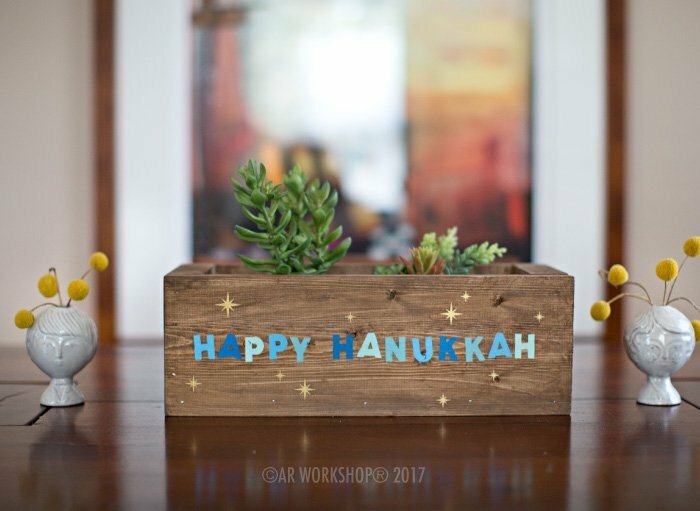 Our 8″ centerpiece boxes are perfect to display flowers or succulents. 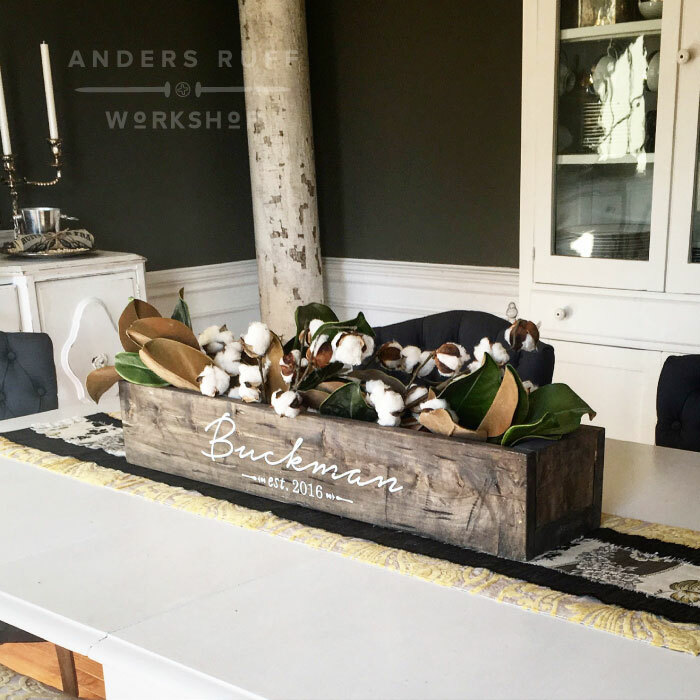 Check your local AR Workshop’s schedule for an upcoming specialty succulent or floral class!